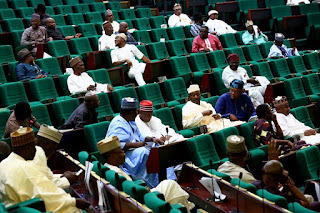 Umaru Mohammed, one of the contenders for the speaker of the house of representatives, has promised to withdraw from the race if the All Progressives Congress (APC) zones the position to the south-east. Addressing journalists in Abuja on Thursday, Mohammed who is from Niger state, said the south-east and north-central were the “greatest casualties” of the ruling party’s zoning formula. The APC is expected to produce the next speaker after emerging with majority lawmakers in the lower legislative chamber. TheCable reported how President Muhammadu Buhari endorsed Femi Gbajabiamila from the south-west as the next speaker. But Mohammed said since the north-central got the third highest votes for the APC in the presidential election, it deserves to produce the next speaker. “If the party has come out to say we are zoning speakership to the south-east, honestly I will have just gone to contest for deputy speaker if I want to” he said. “But as a zone, the north-central is saying in whatever ramification, we deserve to be considered because we brought the third highest vote to make APC a government. “And look at the logic, if you have taken senate presidency from north-central and speakership from north-east in the 8th Assembly, under normal circumstances you should be considering north-central. “We have a president from the north-west and you have a vice-president from the south-west; the senate presidency to the north-east and deputy senate president to the south-south; that means they are settled.